With the holidays on us, I’m finding it difficult to focus on serious topics, so here are my two favorite grain-free pie recipes. Just because it’s Thanksgiving doesn’t mean we need to throw our eating habits completely out the window. I made both of these pies a few weeks ago and had I realized I was going to blog the recipes, I’d have taken photos… the real deal looks much better than the photos I’m using today. I hope you enjoy your holidays! Stir in the vanilla, salt, butter and chopped pecans. Pour into pie crust. 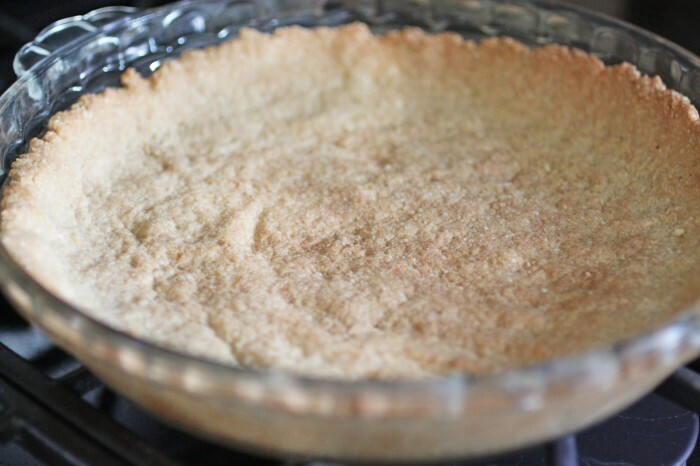 Let mixture cool in pie crust 5-10 minutes. Arrange pecan halves to cover the top of the pie (if filling is still hot, pecans will sink). Place pie in the oven and back for 20-25 minutes, until set (you’ll know it’s set when you jiggle the pie a little and the middle doesn’t wobble like jello–how long this takes depends a bit on whether your crust or filling cooled a bit before getting it into the oven and just how hot your honey got when you brought it to a simmer, so it could take as long as 30+ minutes).